West Chester, PA, Sep-2-2017 — /EPR FINANCIAL NEWS/ — A.J. Cataldo II, PhD, CPA, CMA, CGMA, a Professor of Accounting at West Chester University, has written a free or “open source” text on Introductory Financial Accounting. Feel free to download and/or distribute: http://digitalcommons.wcupa.edu/acc_texts/1/. (The text downloads, best, as separate chapters). Additional information on Professor Cataldo is available on LinkedIn and Google Scholar. His Seeking Alpha articles are, also, available at no cost, and he writes a weekly subscription-based column, THE CANNABIS REPORT, for InvestorsHub (IHUB). CYPRUS, 24-Aug-2016 — /EPR FINANCIAL NEWS/ — Orbex, un leader innovativo nel trading forex online, ha annunciato quest’oggi una partnership strategia con l’Università LUM Jean Monnet, un’università privata italiana, conosciuta in tutto il mondo e altamente stimata come centro di formazione economica. La partnership unirà l’esperienza di Orbex nelle soluzioni di trading e nell’analisi di mercato con l’approccio scientifico avanzato della LUM nello sviluppo economico. Questa partnership risponde alla domanda nel settore di professionisti di alto calibro in materia di trading e soluzioni di investimento multi-target di prossima generazione, qualità che possono essere sviluppate solo tramite progetti di ricerca collaborativa. L’iniziativa di Orbex è una risposta olistica alle sfide che il settore pone. Orbex espanderà il programma formativo del Master in Analisi finanziaria e di borsa e contribuirà con la sua conoscenza pratica dei mercati internazionali. Gli specialisti di Orbex hanno preparato un programma speciale per gli studenti del Master, che prevede anche seminari teorici e pratici e webinar. Inoltre, gli studenti avranno libero accesso a tutto il materiale formativo della società, trasformando così il centro formativo Orbex in un polo di innovazione e scambio di idee. La comunità di trading, a sua volta, avrà l’opportunità unica di attingere direttamente dalle conoscenze degli studi scientifici più recenti e di imparare dai più autorevoli docenti di economia. Spices : Jeera futures (Mar) is expected to maintain support above 13400 levels. Fresh export enquiries may support prices. Demand from domestic traders and millers at lower levels may also support prices. In the international market, Indian cumin seed 1% quoted at USD 2,850 ton (cnf) Singapore. However, Turkey and Syria are not offering. Sowing in Turkey and Syria will be in March. Pepper futures (Feb) is likely to trade range bound facing resistance near 38000 levels. The Indian parity in the international market has risen substantially and therefore Jan and Feb prices are not competitive with other origins which are at around USD 7,000 a tonne. Spot prices increased by Rs 800 on strong demand amid limited supply last week to close on Saturday at Rs 38,500 (ungarbled) and Rs 40,000 (MG 1) a quintal. Turmeric futures (Apr) is likely to trade with a negative bias due to mounting stocks and expected fresh supplies. Oilseeds : The downside bias in mustard futures may remain intact owing to rising area under cultivation. At present, the mustard crop is in the flowering stages and farmers in Rajasthan have planted the oilseed on 2.79 million hectares (lh). The total acreage across the country under mustard has seen a marginal increase to 67 lh over the corresponding last year’s 26.41 lh. CPO futures may trade sideways following bearish sentiments prevailing in Malaysian market. Exports of Malaysian palm oil products for Jan. 1-20 fell 17.3% to 830,830 tonnes from 1,004,159 tonnes in the Dec. 1-20 period. Soybean futures may trade in range bound due to lack of cues from international market. Other commodities : Sugar futures (Feb) is likely to trade sideways with upside getting capped near 3275 levels owing to higher production. Between October and January 15, sugar production in India stood at 10.8 million tonnes (mt), about 3% more than the year-ago period. The Confederation of Indian Industry (CII) has urged the government to raise the import duty on sugar. Currently, import duty on sugar is 10%. Lee Sandford is an ex-professional UK footballer having played for teams such as Portsmouth, Stoke City and Sheffield United. These days, he generates his income through successful forex trading and teaching others how to emulate his trading triumph through the Trading College. The Trading College has released a new video where Lee shares his Traders Success Model. All courses run by the Trading College are taught by professional and experienced traders, including Lee, “As we make our living through trading, myself and the other trading coaches know the real day-to-day challenges that our students will face. That’s why we’re the best people to teach them about every eventuality.” Trading College is open to traders of all levels, even if they’ve just started out. They teach via group courses, support webinars and offer IT support to all of their members. “With my forex trading strategies, students can really earn some great extra income, or even become a full time trader. One of my clients earned over £100,000 in one year using the tactics I’d taught her.” says Lee. With the Iowa Suitability Requirement becoming active on January 1, 2010 there is no doubt that insurance carriers are scrambling to find the best solution. While most solutions are similar in that they will offer State Specific Training and Carrier Specific Training the means and methods in which they deliver the training will differ from provider to provider. Quest is proud to offer the industry’s most comprehensive, user friendly and cost effective solution to the NAIC Suitability Regulation. Using proprietary technology, Quest has the ability to meet each individual carrier’s NAIC Suitability Training needs. While most carriers will opt for a Single Suitability Platform, there are some carriers with captivate agents that would prefer a private label solution. Quest has built their reputation on providing innovative solutions and advanced custom technologies. This custom technology addresses the needs of the carrier wishing to have an NAIC Training portal branded specifically for their company and their producers. A private label solution will match the carriers’ look and feel providing an effective marketing tool and sense of good will with the carrier’s producers. Custom reporting, in addition to daily PGP encrypted data feeds are standard with all of Quest’s learning platforms and will serve as an integral function in both private label solutions and the Single Source Solution. While other NAIC Suitability Training Providers have turned to their old, outdated technologies to address the growing demand of training required of producers, Quest has specifically designed their NAIC Suitability Training Portals with the users in mind. Quest’s simple three step process allows producers to either self-register for their training or be loaded in on the front end by their carriers. The first step requires the producer to select the State Specific Training required by the NAIC. Currently the only state with a requirement in place is Iowa. The second step asks the producer to select the insurance carriers that they sell for so they can select their Carrier/Product Specific Training at step three. The process is intuitive and seamless. The producer will easily be able to create their user profile loaded with all of the training they need to continue to sell their carriers’ products. Quest’s system puts control in the hands of the producers. The logic behind this method is that the producer knows better than anyone else which carriers they sell for and which state and product specific training they need to complete. Other vendors trust complicated and incomplete databases which rely on each carriers list of producers to be correct and constantly updated. Quest’s solution allows for flexibility and intelligence so producers are able to use the training portal as a way of updating their own records with the carriers they represent. On demand reporting and daily data feeds will ensure that producers are compliant with their requirements and able to place business with the carriers they represent as soon as possible. Quest Continuing Education Solutions (Quest CE) is proud to announce the solution to the 2010 NAIC Suitability in Annuity Transactions Model Regulation. Quest’s simple two-tiered approach will provide an “All-In-One” Solution for Insurers, Distributors and Producers that fall under the NAIC’s new regulation. Quest’s 4-hour annuity course in Iowa has been approved by the state and meets the Iowa Administrative Rule 191-15.72 for a one-time, four (4) hour annuity training course requirement. In addition, this course is approved for resident CE credit. Per the new NAIC Suitability Regulation, Quest will also provide insurer-product specific training in their Industry Leading Learning Management System, Renaissance. NAIC Suitability Regulation Training through Quest allows for automated encrypted data and completion feeds. Feeds can be sent on a daily basis or as often as the program administrator desires. Quest’s system also allows for participants in the program to be bulk loaded into the training platform. Ensure your programs compliance with Quest so beginning January 1, 2011 your producers are able to sell your annuities in Iowa. • Automated and PGP encrypted customized data feeds with real-time search tools for insurers and Broker/Dealers to satisfy compliance requirements and training. Quest’s NAIC Suitability Regulation Training Solution is available now and ready for demonstration or implementation. Contact Quest at 877-593-3366 or e-mail Quest at sales@questce.com to speak with one of our dedicated Sales Team Members about guaranteeing your 2010 NAIC Suitability Regulation Training today. Quest Continuing Education Solutions (Quest CE) is proud to announce a new product line-up to meet Investment Adviser’s Compliance Training Needs. Since 1986 Quest CE has built a reputation of being the premier provider of Compliance Education Training to the financial services industry including insurance professionals and FINRA regulated Broker/Dealers. Quest is now able to address the regulations and requirements that face the Investment Adviser world. Quest CE’s comprehensive Investment Adviser Training Program allows advisers to complete essential training through a cost-effective one-stop easy to use program. The Investment Adviser Compliance Training program enhances advisers’ ability to provide investment advice to clients, protecting the client, adviser and firm. Complete Investment Adviser Compliance Training Packages start at $25.00 with individual courses starting at $10.00. Our courses are delivered through interesting and interactive self-paced online presentations. All of our courses use images and manageable page lengths to enhance the learning experience and make compliance enjoyable. Quest CE is a Nationally Approved Provider of Insurance Continuing Education (Insurance CE). Each year we deliver over 150,000 insurance CE courses. Complete state CE packages start at $29.95 with individual courses starting at $12.95. Tom Holcom, chief executive officer of Pioneer Services, was presented with the U.S. Army’s “Outstanding Civilian Service Medal” Oct. 5, 2010, during a special celebration of his 25 years with the company. The award was presented to Holcom by retired U.S. Army Lt. Gen. Robert Arter. Holcom was recognized for his work in helping to found the Command General Staff College Foundation (CGSCF) at Fort Leavenworth, Kan., which supports the U.S. Army Command and General Staff College (CGSC) in the development of tomorrow’s military leaders. He was instrumental in helping the CGSCF obtain tax-exempt status, and was elected the foundation’s first president. Past recipients include Sgt. Audie Murphy, the most decorated service member in American military history; E.N.J. Carter, creator of the “Be All You Can Be” slogan; and ninth Sergeant Major of the Army Richard A. Kidd. Pioneer Services, the military banking division of MidCountry Bank, provides financial services and award-winning education to members of the Armed Forces. For more than 20 years, Pioneer Services has been a leader in military lending, offering military loans, retail lending, VA loans, and award-winning financial education programs through a network of offices and on the Internet. Pioneer Services is proud to support military families and communities through a variety of partnerships, programs, and sponsorships. MidCountry Bank has named financial industry veteran Steve Meads as its new president. Meads is now responsible for leading the growth of the bank in each of the communities it serves. “We are very excited to have such an exceptional individual on our team who demonstrates the characteristics for which our company was built: local community spirit, and our core values of integrity, honesty, fairness, compassion and excellence,” said Bob Hatcher , CEO MidCountry Financial Corp , the bank’s holding company. Meads graduated from Carleton College with a BA in Economics and also earned his MBA in Finance from the University of Wisconsin. He has nearly 25 years of financial services industry experience, most recently serving as President and CEO of Bremer Bank in the Twin Cities. He also is the Chairman of the YMCA of Greater Saint Paul and is active on the board of the Woodbury Community Foundation. Meads resides with his wife, Teri, and their four children in Lake Elmo. MidCountry Bank is a full-service bank with administrative headquarters in Minnetonka , Twin Cities and out-state branches in Minnesota and a regional presence in Southern Illinois and Nevada . As a community bank, MidCountry provides high quality, diversified financial services and solutions for customers to meet their personal, business and professional banking needs. To learn more, visit www.MidCountryBank.com. MidCountry Financial Corp. (MCFC) is pleased to announce that Darren Cantlay has joined the executive team as Vice President of Accounting and Finance, and Chief Accounting Officer. In this newly-created position, Cantlay will manage all financial reporting, budgeting, financial systems, and tax functions for MCFC, among other things, and will also assist with strategic planning and overall financial management for the organization. Cantlay begins his new role Sept. 1, 2010. Cantlay has more than 15 years of experience handling a variety of accounting, compliance, planning, and operational issues for a variety of financial institutions, including McIntosh Bancshares, the Bank of Ellijay, Appalachian Bancshares, and United Bank Corporation. He has previously held the positions of chief financial officer, chief operating officer, controller, and accountant. 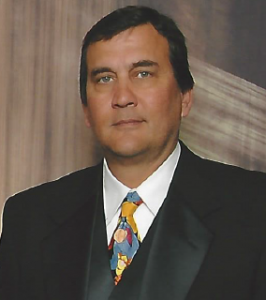 A graduate of Valdosta State University, Cantlay has been an adjunct faculty member at Griffin Technical Institute, where he taught both accounting and tax courses. He is a member of the Georgia Society of Certified Public Accountants, the American Institute of Certified Public Accountants, the Institute of Management Accountants, the Georgia Bankers Association Asset Liability Committee, and was Secretary of the Gilmore County Rotary Club from 2008-2009. PR News has named MidCountry Financial Corp. a finalist for its “2010 PR Digital Awards” in two separate categories: Best Newsletter, and Best Website Redesign. Directed by PR News, a leading communications and public relations news source, these awards for digital communications expertise are nationally recognized and highly competitive. Winners will be announced at an awards ceremony in New York City Oct. 6, 2010. Finalists in other categories include Coca Cola, General Motors, Barilla Pasta, Cisco Systems, Hilton Hotels, and Boeing, among others. The Fort Hood Pioneer Services’ office was honored recently when a reader’s poll in the Killeen Daily Herald, the area’s 100-year old daily newspaper, named the company one of the best places to get a loan in the Central Texas region. The annual “Central Texas ‘ 100 Best” poll is an opportunity for the community to vote on where they go to find the region’s best products and services. The 2010 winners were announced in the June 27, 2010, edition of the daily publication. The poll, initially launched in May, asked readers to complete a write-in ballot telling the newspaper where to find the best businesses and services in more than 100 categories, and generated nearly 6,000 responses. Winners receive a certificate of recognition and a banner to display at their establishment that highlights the honor. Pioneer Services, the military banking division of MidCountry Bank, provides financial services and award-winning education to members of the Armed Forces. F or more than 20 years , Pioneer Services has been a leader in military lending, offering military loans, retail lending, VA loans, and award-winning financial education programs through a network of offices and on the Internet. The Pioneer Services Ft. Hood office, located at 202 E. Veterans Memorial Blvd, Killeen, TX, has been proudly supporting military families and the community through a variety of partnerships, programs, and sponsorships since 1997. The company’s library of materials just got even better with the addition of the Pioneer Educational Podcast series’ “Financial PEP Talk,” released this Financial Literacy Month in order to give service members yet another way to access financial education. The podcasts, which last just six to 10 minutes, are available on the company’s website at www.PioneerServices.com/podcast, where users can listen or download an MP3 file. By the end of April, there will also be an iTunes feed to which users can subscribe and listen to at their convenience. To listen to the Financial PEP Talk, visit PioneerServices.com/podcast. A new Government-run service is set to provide impartial financial advice for millions of UK citizens looking for help with money matters. The service – called Moneymadeclear – was launched by Chancellor of the Exchequer Alistair Darling and will provide free consumer advice from independent financial experts. Moneymadeclear gives people the chance to pick up the phone, talk face-to-face or get information online with regard to money worries, financial planning and information on consumer rights. The service also gives advice to consumers who think they may have been mis-sold a financial product and don’t know what action to take. “Consumers have long deserved a service that is concise and impartial as Moneymadeclear, especially for people who have concerns over money but do not know who to turn to. The Government has trialled the service in the North East and North West since last April. The trial helped 500,000 people and is expected to assist a million people in the next year alone. In a post recession economy the importance of financial support for concerned consumers will undoubtedly be welcomed by people looking to firm up their finances. QuoteBoffin.co.uk went on to say “Although the UK has officially left the recession it’s going to take many years to see a full recovery. This means that continued job losses, mounting debt and high interest rates will put continued strain on consumers. MidCountry Bank was recently recognized by the U.S. Department of Agriculture and Rural Development (USDA) for utilizing federally-guaranteed mortgages that increased, and made more affordable, home ownership in rural Illinois. Each year the USDA honors lenders that excel in using the federal agency’s guaranteed loan program in rural areas. MidCountry Bank provided Illinois homebuyers with more than $1 million in Rural Development-backed loans in 2009. With the Rural Development guarantee, MidCountry Bank offers 100 percent loans with no required down payment, no private monthly mortgage insurance (PMI), no maximum purchase prices, competitive fixed interest rates, and 30-year terms. The program also includes flexible credit guidelines and generous income limits. For nearly a decade, MidCountry Bank has been serving the communities of southern Illinois and central Minnesota with a full spectrum of financial products that are matched with excellent customer service. Its retail banking division offers a variety of deposit and loan products to meet consumers’ needs, its business division helps small business by providing them with the financing they need to grow, and its military banking division serves those who serve our nation with personal loans and award-winning financial education programs. Every MidCountry Bank associate is dedicated to creating a high-quality and well-respected financial services organization, and is committed to the values of integrity, fairness, honesty, excellence, and compassion. An effort to promote community service within its national workforce was recently recognized when MidCountry Bank‘s military banking division, Pioneer Services, was named a finalist for the Corporate Social Responsibility Award for Workplace Innovation by PR News. The company received the honor for creating and offering all of its associates a Volunteer Time-Off (VTO) benefit, providing each individual up to 16 hours of paid time off annually to volunteer in their communities. To encourage additional participation in the VTO program, last year the company initiated the Be the Difference campaign, an internal effort to increase usage of this unique benefit. The campaign included a Volunteer Fair at its headquarters that featured 23 nonprofit organizations, the creation of a new volunteerism website, t-shirts, promotional posters, and other items—all of which was led by an associate-ran Volunteer Committee. The result was a 400 percent increase in VTO usage, and numerous individual recognition and awards for associates, both locally and nationally. Winners of the PR News Corporate Social Responsibility (CSR) Awards are announced Feb. 24, 2010, at the National Press Club in Washington, DC . Pioneer Services is joined as a finalist in the Workplace Innovation category by Pepsi, Deloitte, and Butterball, and finalists in other categories include Bank of America, Chipotle Mexican Grill, Coca Cola, GE, Oracle, and eBay. The Community Education Loan program allows community banks to develop their own student loan offering without additional staffing or resources. This program is completely managed by NLA and SEF including product development, application origination, credit decisioning, disbursement processing, and loan portfolio administration services, with loan servicing being performed by PHEAA/AES. PHEAA/AES is one of the largest and most respected student loan servicers in the country. For more information on the Community Education Loan go to (www.sterlingeducationfinance.org), contact Pat Cook at (828) 335-1092 or Nancy Chalker at (570) 899-1595. Sterling Education Finance, LLC is an innovative education financing company dedicated to the larger mission of ensuring access to education. Our product suite is designed to offer financing solutions for every private K-12, career and trade institution, college or university based on the institution’s unique needs as well as the needs of the student and families they serve. We have a select group of origination, funding and servicing partners and all of our products are fully supported by our team of industry veterans. Created in 1963 by the Pennsylvania General Assembly, the Pennsylvania Higher Education Assistance Agency (PHEAA/AES) has evolved into one of the nation’s leading nonprofit student aid organizations. Today, PHEAA/AES is a national provider of student financial aid services, serving millions of students and thousands of schools through its loan guaranty, loan servicing, financial aid processing systems and outreach programs. As a nonprofit organization belonging to the Commonwealth of Pennsylvania, PHEAA/AES devotes its energy, resources and imagination to developing innovative ways to ease the financial burden of higher education for Pennsylvania’s students, families, schools and taxpayers. Retirement savings have dwindled significantly over the past 18 months. The median rate of return on 401k balances was negative 28.3% in 2008 according to a study by human-resources consulting firm Hewitt Associates. The average 401k balance dropped from $79,600 at year-end 2007 to $57,200 at the close of 2008. In the 12 months following the stock market’s peak in October 2007, more that $1 trillion worth of stock value held in 401ks and other “defined-contribution” plans was wiped out, according to the Boston College research center. Alan Weir, who turns 60 this month, showed 60 Minutes his latest 401(k) statement, which he hadn’t had the courage to open up. “I’m afraid,” he told correspondent Steve Kroft. There’s good reason for his trepidation: nearly half of his life savings have vanished in a matter of months. “It went down again,” Weir told Kroft after opening the statement. Overall, he said he was down about $140,000. Another woman in a similar situation told Kroft her 401(k) was worth less now than it was in 2005. “And another one went down almost $40,000. One was 80 – 88,000. And then, and then it went down to 50(k),” she told Kroft, crying. The saddest part of this story is that it is being repeated all over the country. In eastern Pennsylvania, 59-year-old Iris Hontz lost her accounting job and half of her 401(k) investments. “Unlike Wall Street executives, American families don’t have a golden parachute to fall back on,” said U.S. Rep. George Miller (D-CA). If you would like more information about this topic, or to schedule an interview with Leonard M. Rhoades, please call Andrea Rhoades at 616-581-5696 or email support@401kinvesthelp.com.